With this year's Waterstones Children's Book Prize shortlists now announced, we've asked one of our experts on children's books, Isabel Popple, for a closer look at every title. She has come through spectacularly. Below you'll find everything you need to know about this year's nominees. The selection of titles on this year’s shortlist is just outstanding: I have read and loved all of them, and each book has something special to offer. It’s a good thing that this is a prize voted for by booksellers, because I don’t know how a winner could possibly be picked from a judging panel alone. Whether you’re looking for something new for yourself or for your children; whether you are five or ninety-five, I have no doubt that at least one of these books will surprise and intrigue you, make you laugh, or make you think just a little bit differently than you did before. Honestly, though? I recommend them all! 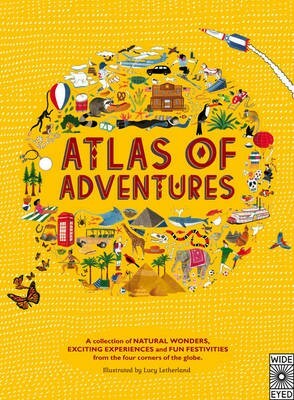 An adventure story wrapped up in an atlas! Each map of the continents and countries picks out places and events from around the world that sound like they come from stories – except they’re real. Spot a narwhal, explore a glacier ice cave, sleep under the Northern Lights – it makes adventure seem truly possible. Each double page is full of colour, considered detail and fun facts. A book that can be dipped into or stared out for hours and that will make everyone want to know more about the many, many wonders of the world and it’s adventurous potential. 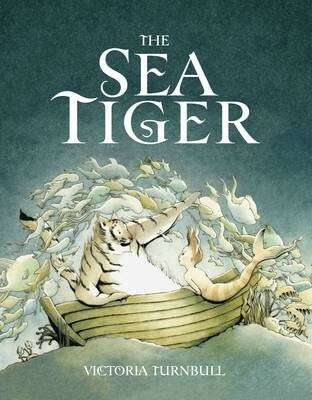 Oscar and the Sea Tiger are the best of friends; they explore their ocean world and do lots of wonderful things together, but the Sea Tiger worries that Oscar doesn’t have any other friends. Can he help him find one? Friendship is a clear theme, but what I like best about this book is how the characters embrace the simple joy and beauty of being alive. Each page has its own special magic, from singing sea turtles to floaty jellyfish, and it’s somehow both sad and happy, while the illustrations really evoke that underwater feel. The Queen is off to visit someone very special, but – oh no! – as she steps outside Buckingham Palace a great swoosh of wind sweeps her hat up, up and away. She, corgi and the Queen’s Guard must chase it across the streets of London, taking in sights from Trafalgar Square to Tower Bridge. 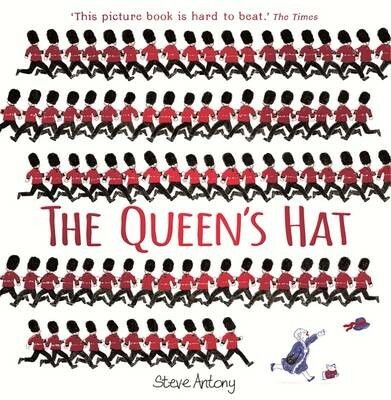 This simple, action-orientated story makes good use of perspective and descriptive language, and left me feeling proud to be British, from the London attractions to the bright red jackets of the Queen’s Guard – plus a neat little homage to Mary Poppins towards the end. Peep loves music, so when he wakes unusually early one morning and hears the Dawn Chorus’ beautiful singing he desperately wants to join them. He practices as hard as he can for his audition, but things keep going wrong. 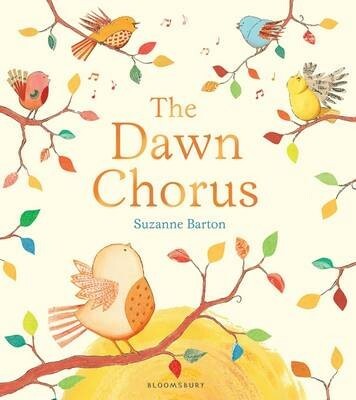 Worry not, though, there’s a good reason why the Dawn Chorus isn’t meant for him… These gorgeous illustrations feature lots of colourful birds, leafy trees and starry nights; I particular admire Barton’s choice to not personify her creatures, which fits perfectly with this sweet story about nature and learning to understand yourself. Penguin Blue has a new kite and it’s the perfect blustery day to try it out. Oops! 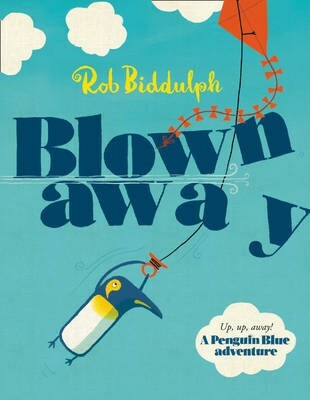 Maybe it’s a bit too windy today – Penguin Blue’s been swept up into the sky! His friends try to help, but they get caught up too and are soon being blown across the ocean to a tropical isle. How are they going to engineer a way back home? 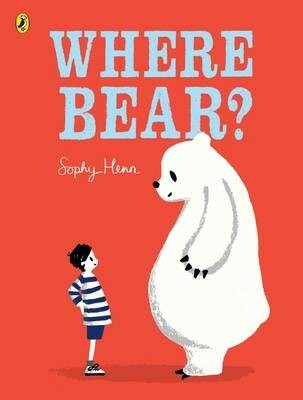 With rhyming text, this crazy animal adventure is a lot of fun – it’s humorous and enjoyable, with bright pictures and – obviously – a polar bear named Clive. Jessie can’t believe her luck when her Gran gets a puppy – her dad’s away and they’ve had to move house, so Snowy is a ray of sunshine. 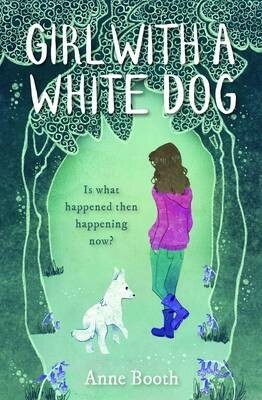 But then Gran starts saying odd things and getting confused, and when Jessie unearths a box of photos of a girl with a white dog, she wonders what difficult secrets her Gran’s past might be hiding. Booth weaves so much depth into this slim volume, quietly touching on and drawing parallels between many different things, but especially World War II. Tolerance is the overarching theme and it’s a thoughtful and beautifully written mystery. It begins with one building collapsing. Then another crumbles. Then lots more. Strange plants are eating the city, and everyone starts to leave. But Ade’s mum can’t leave, so they stay and – miraculously – their tower block remains standing. Why? Will the plants ever stop? Can anyone save Ade; can he save his mum? While the jeopardy of this young boy’s collapsing world fuels the adrenaline, this book is much more than a sci-fi plot, touching on friendship, sacrifice, love, loyalty, loneliness. Ade’s voice feels very authentic and this is a powerful story with a heart-racing conclusion. 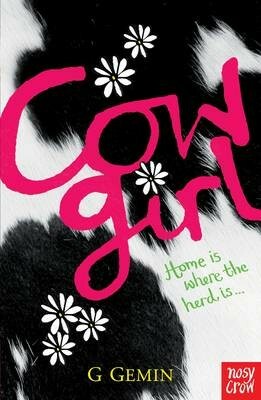 Gemma lives in a troubled Welsh town: burglaries and distrust are rife, jobs are scarce, and she’s pretty down in the dumps herself. But when she accidentally befriends school-ground outsider, Kate, the pair of them hatch one crazy plan. It’s a plan to save Kate’s precious cows from being sold, but creates an amazing ripple effect of goodwill and generosity through their town. This is a really endearing book about communities pulling together and looking after one another. The unusual plot is not only very enjoyable, but left me feeling all good about the world. Introducing Daisy and Hazel of the Wells & Wong Detective Society. 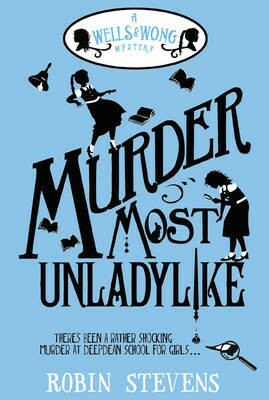 It’s 1934, Deepdean Boarding School, and their teacher Miss Bell has been murdered. But they’re the only ones who know about it, so it’s up to them to solve the case. Can they untangle red herrings from red tape and put all the clues together – correctly – and stay friends in the meantime? Cluedo meets Enid Blyton in this fun and enthralling mystery that perfectly blends a “jolly hockey-sticks” tone with contemporary storytelling, and two fantastic main characters with tight plotting that keeps everyone on their toes. Dan Hope has lots of dreams, but the biggest is for his dad (who left four years ago) to love him. Dan’s prepared to try anything to get his dad to talk to him – but what if his father doesn’t want to be found? Along the way there are misunderstandings galore, a word ninja, a dog that will eat literally anything, an eco fashion concert thingymajig, dreams forged and broken, family lost and family gained. 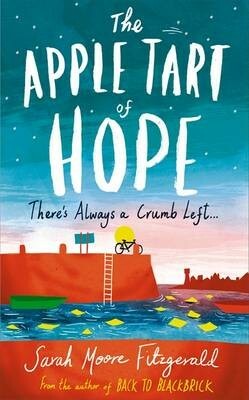 Williamson’s writing is witty and natural, the characters completely engaging, and the story laugh out loud funny in places, heartbreaking in others, but ultimately full of hope. 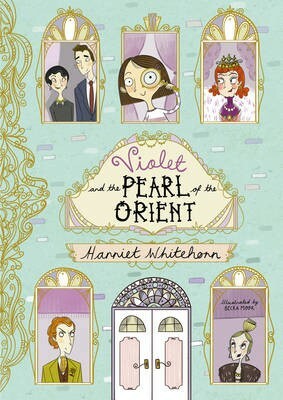 Violet is a young Sherlock in the making and thank goodness, because her grown-up friend Dee Dee – a retired Hollywood starlet – has been heartlessly burgled. 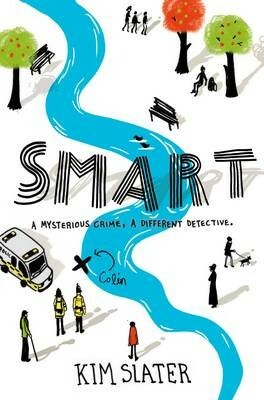 The police are called, but it’s ultimately up to Violet to uncover the multiple layers of treachery that have arrived in her formerly quiet neighbourhood. Her high and mighty new neighbours, the Count and Countess Du Plicitous couldn’t possibly be involved, could they? With quirky characters, a fun storyline, and peppered with illustrations, this is a gorgeously put together little book ideal for younger readers. When should a secret stop being secret? Nobody cares about what happened to the homeless man, but Kieran still thinks he matters. Was it an accident or was he murdered? A master of observation, Kieran writes everything down in his notebook, from his difficult home life to questions about his Grandma, the new friends he makes in Jean and Karwana, and how he finds it within himself to be brave and do the right thing. While the plot pivots around the murder case, the depth of the characterization and a bullying theme really stand out in this compassionate and insightful story. Frieda’s world is a patriarchal society taken to the extreme, where beauty is all that matters. At the end of school she and the other girls will either be selected as a wife or relegated to life as a concubine, and the competition to be perfect is fierce. As the pressure builds she and her best friend isabel each begin to implode, but what secret is isabel hiding, and can frieda get what she most desires? ‘Mean Girls’ to the power of ten, this is an incredibly intense and quietly disturbing story that stayed with me for days after reading; a chilling concept treated brilliantly. Dane is a notorious bully, always in trouble. Billy D has Down’s Syndrome, an outsider no-one takes the trouble to know, a classic victim. 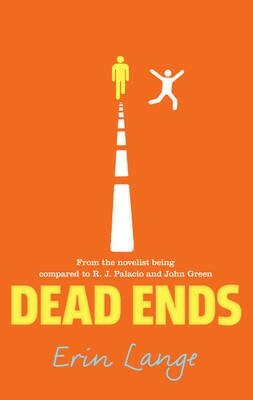 Not the typical recipe for a new friendship, but when they’re thrown together and Dane reluctantly agrees to help Billy D find his dad, they realise they have a lot in common, that they’re searching for answers to unknown questions. This smart and strong story has both compelling characters and a compelling plot. It made me question when the bully might be the victim, and when it’s okay to hit – to defend yourself? To defend others? Or never? The council of White witches has Nathan under lock and key. 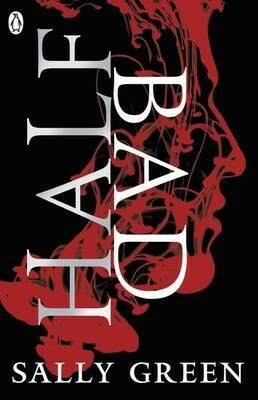 They’re afraid of him and the unknown power his Black witch father may have passed to him, but it’s imperative that he escapes before his seventeenth birthday so that he can receive his Gift – without it, he’ll die. 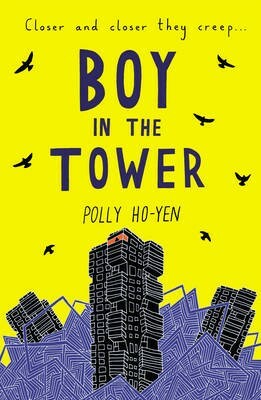 In this contemporary world, Green adeptly shows how the lines between black and white are always blurred, her prose completely gripping in a story that is about blood and power and the nature of humanity, whilst wrapping present-day England in dystopian themes. It’s seriously addictive reading. 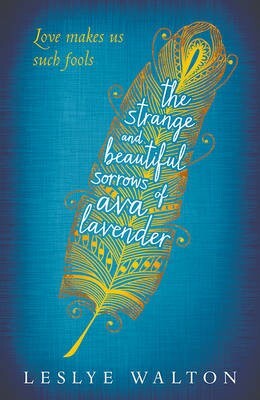 Ava was born with a pair of softly feathered wings, but inside she’s a girl like any other: a girl with dreams and desires. This is Ava’s story, as well as that of her mother Viviane and grandmother Emilienne; magic runs through their lives, but when Ava ventures beyond her garden gate will people see her for her or only see her wings? Heavy with magical realism and lyrical, enfolding prose, this is a book that breaks away from the typical YA form, a book about love, hope and tragedy, but which blends together mythology, fairytale and desire. And there we have it. Congratulations to all the shortlisted authors, now it's just a long wait until 26th March when the winner will be announced. Good luck! 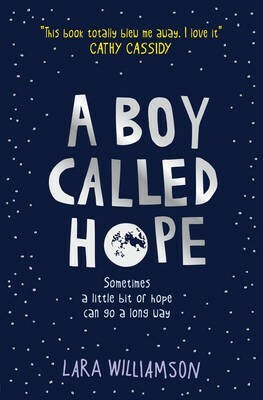 A Boy Called Hope,	Anne Booth,	Atlas of Adventures,	Blown Away,	Boy in the Tower,	Cowgirl,	Dead Ends,	Erin Lange,	G.R. 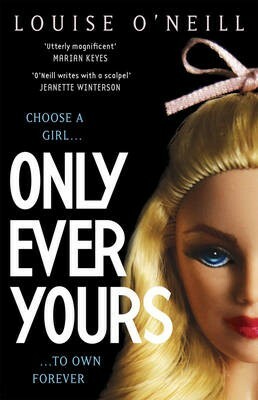 Gemin,	Girl With a White Dog,	Half Bad,	Harriet Whitehorn,	Kim Slater,	Lara Williamson,	Leslye Walton,	Louise O'Neill,	Lucy Letherland,	Murder Most Unladylike,	Only Ever Yours,	Polly Ho-Yen,	Rachel Williams,	Rob Biddulph,	Robin Stevens,	Sally Green,	Sarah Moore Fitzgerald,	Smart,	Sophy Henn,	Steve Antony,	Suzanne Barton,	The Apple Tart of Hope,	The Dawn Chorus,	The Queen's Hat,	The Sea Tiger,	The Strange and Beautiful Sorrows of Ava Lavendar,	Victoria Turnbull,	Violet and the Pearl of the Orient,	Waterstones Children's Book Prize,	Waterstones Children's Book Prize 2015,	WCBP,	WCBP15,	Where Bear?